Are you missing a tooth? Dental implants are often the first choice and standard care for a missing tooth. A dental implant restores a lost tooth so it looks, feels and functions like a natural tooth. Other options can often lead to bone deterioration. A dental implant is an artificial tooth root that is placed into your jaw to hold a replacement tooth or bridge. Dental implants will have you eating, smiling and speaking with confidence. Dental implants are built to last. There may be times when your dental implants need an adjustment, but they can last a lifetime when properly placed and given proper care. Dental implants can give you the confidence you once had with a full set of teeth. A face without teeth can often sag and appear sunken or hollow looking. Dental implants will help you maintain the natural shape of your face. You need to protect your bone structure. Leaving spaces in your mouth can speed up the deterioration of bone loss in your jawbone. Dental implants can help stimulate natural bone growth and prevent bone loss. You can still protect your healthy teeth. Dental implants are placed in the jawbone where your missing tooth root was and won’t affect the adjacent tooth roots. Dental implants can also help prevent your adjacent teeth from moving the way they would if an empty space were left for an extended period of time. Avoid cavities. Cavities will not occur in a dental implant. It is still important to visit your dentist regularly to clean and care for your implant and gums, but you won’t need to worry about cavity decay in your implant. Enjoy life again. 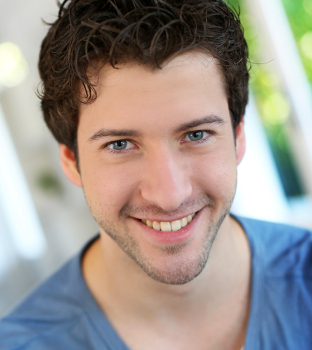 With an implant, you won’t need to feel uncomfortable in public with missing teeth. Dental implants can help rebuild your confidence and stop your worrying about missing teeth. Teeth restored with dental implants are teeth that will let you lead your life, instead of your teeth leading you. Call our office today to find out if you qualify for a tooth implant, or if implant dentistry is right for you.